CDMA version of HTC Shift UMPC gets FCC approval! 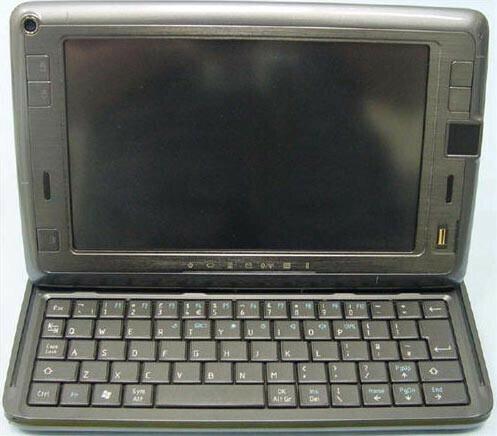 The FCC approved the CDMA version of the HTC Shift UMPC coded Clio 200. There also is the Clio 100, which is the GSM version of the device. Unlike the officially announced GSM version, the new "Clio 200" is CDMA/EV-DO which would allow it to be used with carriers such as Verizon and Sprint. The rest of the specifications are the same we have previously mentioned for the Shift: 7-inches, 800x400 touch display, Windows Vista Business OS etc. . This way, you would be able to choose between the GSM/CDMA version of HTC Shift, depending on your wireless carrier. This doesn't need to go to sprint... VERIZON would own with this device!